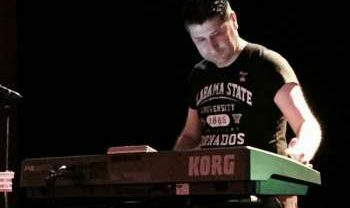 Rizan Said is a composer, musician and producer, responsible for hundreds of Syrian recording industry productions as well as compositions and themes for television and cinema. He is known as the original sound behind Syrian singer Omar Souleyman. His first solo album, “The King of Keyboard (Annihaya Records, 2015) continues to receive critical acclaim internationally. Rizan’s recent solo performances have brought the original dabke dance sounds of Syria to European festivals and concerts, and kept people partying until sunrise.